All hands on deck. Now, okay, pipe down. I’m starting with a clean slate. I want to be completely above board about this. I have no intention of barging in only to bamboozle you with mere scuttlebutt. I hereby proclaim that I will avoid clichés even if I am under the weather. It’s too easy to write with clichés. Any writer who knows her ropes and is worth her salt should shape up. Am I passing with flying colors? No? I guess I’d better mind my P’s and Q’s or there will be devil to pay. How many clichés did you count? If you counted 14, you’re A1 in my book. Oops. Make that 15. Here’s the interesting part: these clichés and a bunch more all came from the world of boating. Many I learned at a terrific website called shipsandcruises.com and others from an article freelance-writer Chris Caswell wrote in a magazine in 1997. Below is a list of boating clichés I&apos;ve picked up through the years. A1: In Lloyd’s Register “A1” was the mark of a first class wooden ship. Above Board: Pirates would hide crew members below decks to fool victims. When all the crewmen were on the deck then -- seeing is believing – the vessel was more likely to be an honest merchant ship. All hands on deck: Nowadays we gather to discuss some task. Sailors did the same thing, but met on the deck. Bamboozle: This was the word used to describe the deceit of pirates who flew an ensign of national origin other than their own. Barge in: Most believe this term, used today to describe a tactless appearance or interruption, came about because barges are hard to maneuver. Clean slate: Daily logs were kept on a slab of slate. Each new watch officer would erase the previous entries. Know the ropes: It took an experienced seaman to know the function of all the ropes on a sailing vessel. Mind your P’s and Q’s: Short for pints and quarts of ale. Tavern keepers would keep careful track (mind) the tab, especially, of sailors who were about to ship out. Passed with flying colors: Refers to a sailing ship that distinguished itself by flying all of its pennants and flags (called “colors”) when passing other vessels. Pipe down: Helmsmen told the crew members on deck that they could “pipe down,” meaning their chores were done and they could return to their quarters below decks. Scuttlebutt: To discourage idle chit-chat at the ship’s water barrel, the drinking ladle had little holes in it so the water would leak if the sailor didn’t drink it up fast. The holes were called scuttles. Shape up: This was the term helmsmen used to refer to getting back on course to avoid danger. Worth their salt: Salt actually was also used to pay Roman sailors. So any sailor “worth his salt” was worth what he was getting paid. Clichés, they say, are to be avoided like the plague. But, my, they do come in handy, don’t they? 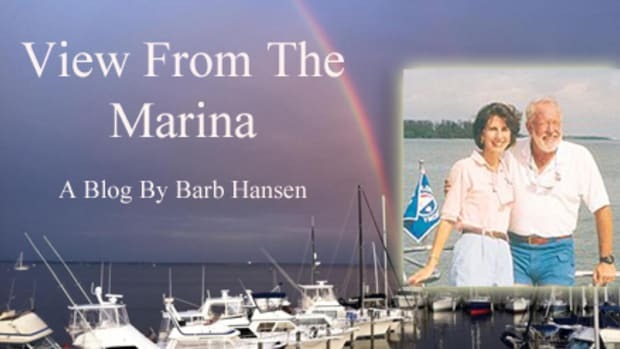 Barb Hansen manages Southwest Florida Yachts, yacht charters and Florida Sailing & Cruising School, a liveaboard yacht school. 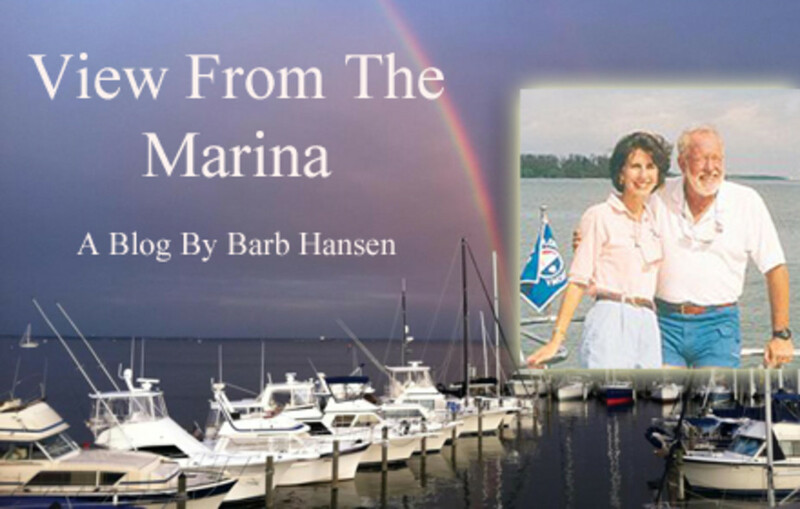 Contact her at info@swfyachts.com, or via phone at (239) 257-2788.